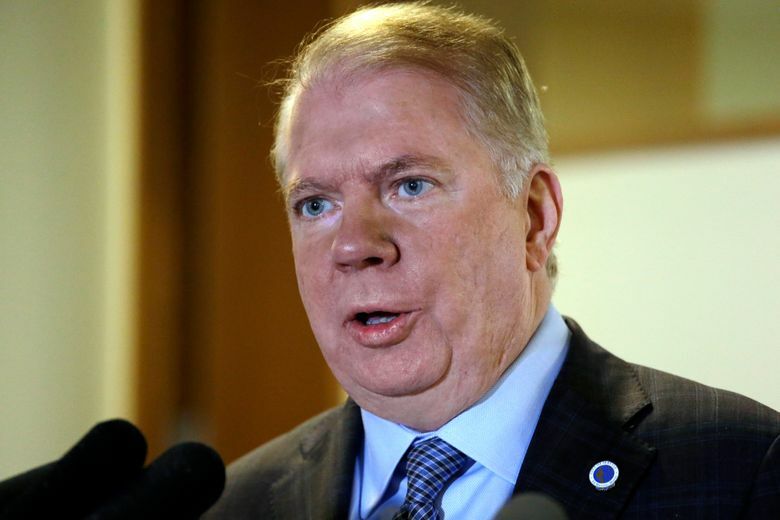 Reacting to new information about sexual-abuse allegations against Seattle Mayor Ed Murray, City Councilmember M. Lorena González said in a statement Monday she’s asked Murray to consider stepping down before his term expires at the end of the year. And if the mayor doesn’t resign, then the council should convene a committee no later than July 24 “to determine if a transition in executive leadership is merited under these circumstances,” González said. In a statement Monday afternoon, Murray said he would not resign. González, in her statement, said she would prefer “a collaborative approach” to the issue. Newly released records, previously thought destroyed, show that an Oregon child-welfare investigator concluded in 1984 Murray had sexually abused his foster son, Jeffrey Simpson, when Simpson was a teenager. The mayor denies the allegations. In an interview last week, he underscored that prosecutors had decided decades ago not to charge him. If Murray were to resign, Council President Bruce Harrell would be called upon to serve as acting mayor. If Harrell declined, the council would select another member for the position. During a briefing Monday morning, Harrell and other council members urged care in handling the Murray situation. Bagshaw pointed out that the allegations against Murray are decades old. Burgess said it’s too early for the council to consider impeachment. In a phone interview later Monday, Harrell said Murray is entitled to due process. To push the mayor out, the council “would have to make factual and legal conclusions based on events that occurred 33 years ago and in another state … that would be a tough task,” the council president said. González’s call for Murray to step down came in a lengthy statement. 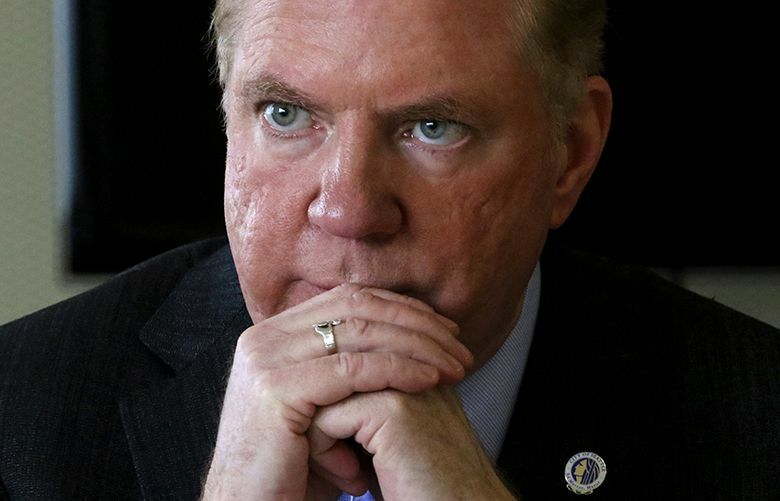 “Since April, our City has reeled in the aftermath of sexual abuse allegations made against Mayor Ed Murray. I, like many in our community, take these allegations seriously. As a civil rights lawyer, I also take seriously a person’s inalienable right to due process as guaranteed by our U.S. Constitution,” González said in the statement. “The recent article published in The Seattle Times contains additional details about an administrative investigation conducted by a social worker in the State of Oregon’s Child Protective Services unit after Jeff Simpson self-reported being sexually abused in Murray’s home. That investigation file, the prosecuting attorney’s letter and related police reports continue to raise questions about what occurred in the early 1980s between Murray and Jeff Simpson, while Mr. Simpson was placed in Murray’s home as a foster child,” González added. The council member, who before running for office served as the mayor’s legal counsel, praised Murray’s work leading Seattle. Seattle Times staff reporter Jim Brunner contributed to this report.